Our Brand & Marketing Manager, Ivan Orsic, spends close to 100 days a year on the water fishing, taking photos, and capturing video. He's a little more particular about his gear than he'd like to admit and appreciates quality gear that he can rely on day in and day out. Check out what gear he dons on when he hits the water! The Rogue Fleece Hoody is one of the best deals in fly fishing gear, hands down. A flexible, durable outer shell that serves you well on and off the water, it's a must-have for any Rocky Mountain angler. With a cutting blade, internal spring, attachment hole, crimp ridge, and most importantly a split shot removing pick tip, these pliers do everything. The split shot removing pick tip is putting on and taking off split-shot when moving between water and adjusting your rig's depth when winter nymphing. 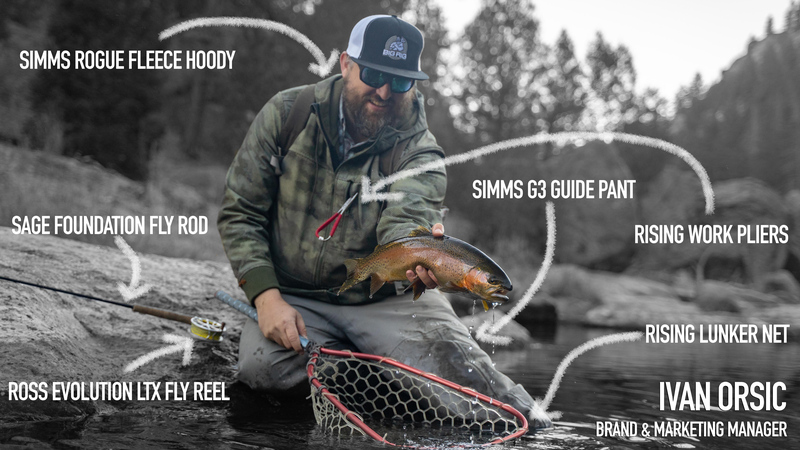 The G3 Guide Pants are the perfect waders for fishing most every Front Range river, especially during winter. 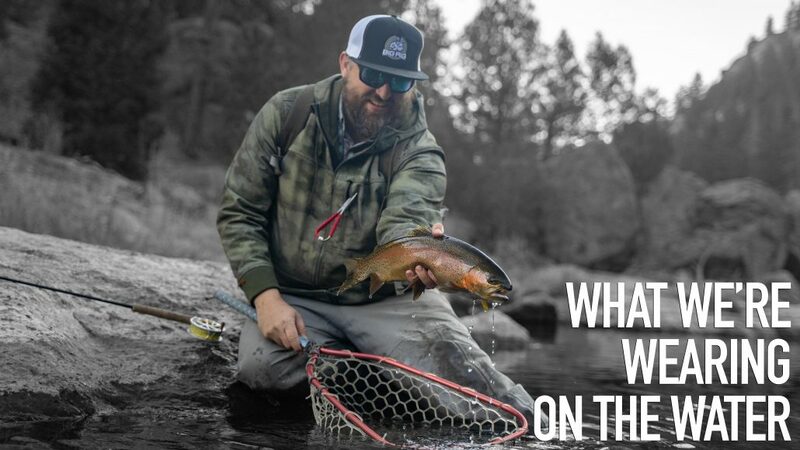 The Guide Pants feature the same breathable and durable four-layer GORE-TEX as the G3 Guide Stockingfoot waders and are perfect for those days when you don't need to wade that deep. With low flows and big winter layering pieces in play, the Guide Pants are a comfortable alternative to chest waders. This American-made, budget-friendly, fast-action fly rod is the perfect entry level rod or backup rod for many anglers. The Foundation features Graphite IIIe which is the same graphite used in the legendary Sage XP. So, there's a lot of bang for your buck to be had with these impressive fast-action fly rods. These made-in-Utah, anodized aluminum nets fit most any sized fish in them. With measurement indicators along the hoop and a flask built into the handle, these nets are a shop favorite. With a large arbor, lightweight design and a reliable sealed drag system, these Colorado made reels can be trusted when your tippets are light and the fish are hot. Plus, they're really, really, ridiculously good looking.